Hi guys! Hope you are all well and enjoying the run up to Christmas! Sorry for being MIA for the past two weeks - everything has been very hectic with uni and I've been a bit overwhelmed with work that the blog has taken a back seat unfortunately. However, I am back today with an under £10 gift guide for her! I always find these types of presents harder to find because you don't want to get a rubbish gift but £10 is often a hard budget to stick to. This guide is great for any secret santa presents, or if you're a student like me and are on a bit of a tighter budget! One of my favourite finds this year has been the Christmas decorations from higher end brands such as Emma Hardie and Aromatherapy Associates - they're great for anyone who wants to buy a more luxurious gift for under a tenner! Let me know what your favourite gift is from my picks! 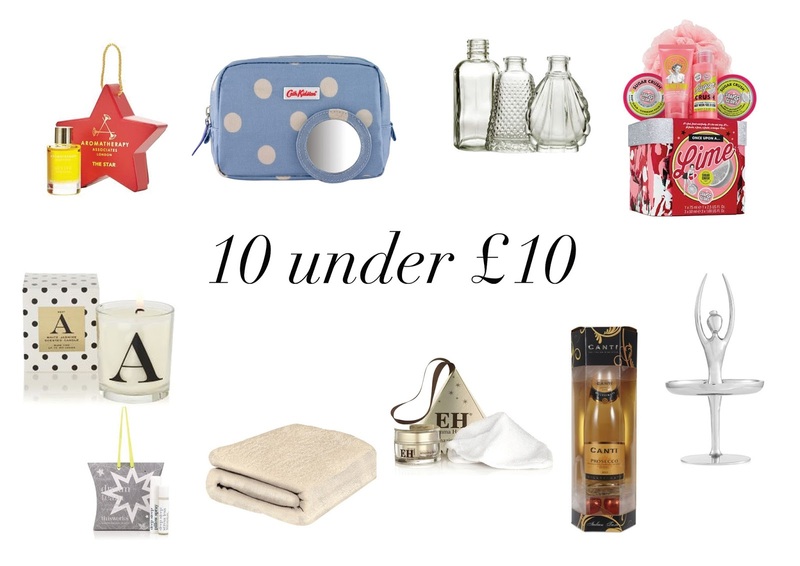 And comment below if you have any recommendations for under £10 presents too.